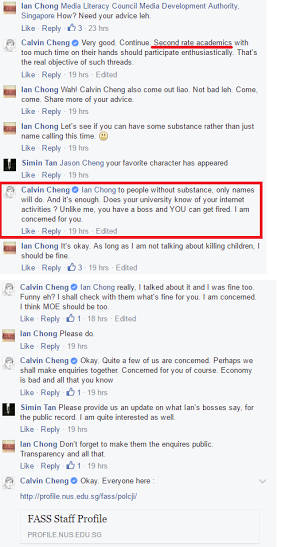 A netizen has brought to the attention of the public the conduct of former NMP Calvin Cheng on Facebook. What happened was WP NCMP Leon Perera had posted on Facebook, a rebuttal to Minister Tan Chuan-Jin’s claim that his colleague MP Png Eng Huat had ‘stirred hate and anger’ online. Mr Png had earlier wrote about Minister Tan and his grassroots leaders cutting queue at the JB checkpoint. 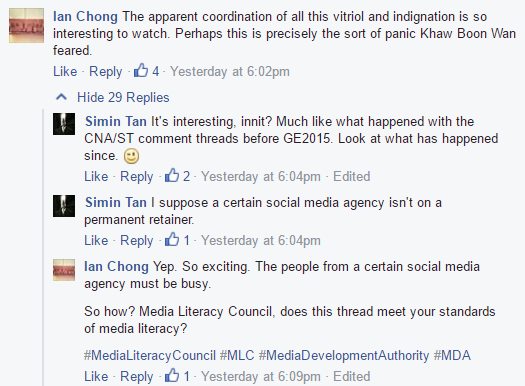 Dr Chong also wondered what the Media Literacy Council (MLC) would say about the online bickering going on with regard to the queue cutting incident by PAP officials. At this point, former NMP Calvin Cheng, who is also a distinguished member of the Media Literacy Council jumped in to “attack” Dr Chong. He seemingly threatened the vocal NUS prof and called him a second rate academic. Calvin Cheng called Dr Chong a “second rate academic who had too much time on his hands”. He also threatened the prof, saying that unlike him, Dr Chong has a boss and can get fired for engaging in internet activities. He went on to suggest that MOE and the public should make ‘enquiries’ about this prof. He taunted the prof, telling him he is “concerned” for the prof and that the “economy is bad”. Yet, MLC member Calvin Cheng appears to be doing exactly what MLC itself discourages. 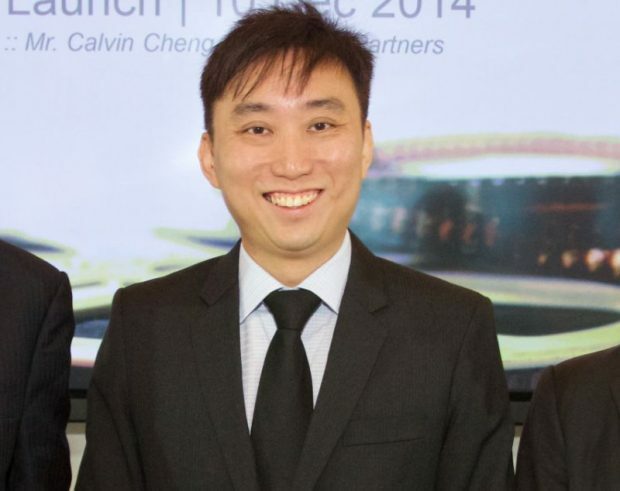 Calvin Cheng was a former PAP member before being selected to become an NMP in 2009. He created controversy when he should have resigned from the PAP before submitting his application to become a non-partisan NMP. He only resigned after he was selected. Last November, he created another controversy by posting an online comment, seemingly advocating the killing of children of terrorists “in case they grow up to take revenge”. No police prosecution came about and he got away with only a “counselling” from the MLC Chairman, Prof Tan. 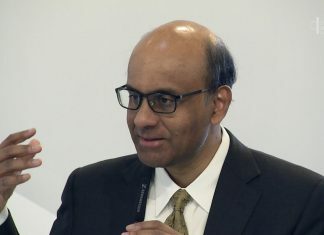 “I have spoken to Mr Cheng and counseled him that as a member of the Council he will be held to and judged by a higher standard compared to a private citizen,” Prof Tan said. Cheng’s defence was that his comment was meant to be “provocative and outrageous” to spark deeper thought into a “complex moral issue”. “Taking everything into consideration, I am unable to conclude that what Mr Cheng said as a whole amounts to hate speech,” Prof Tan added.